Desktop Learning Adventures: Teachers, You're Appreciated! One of the ways that always makes me feel appreciated is when former students come back to visit. 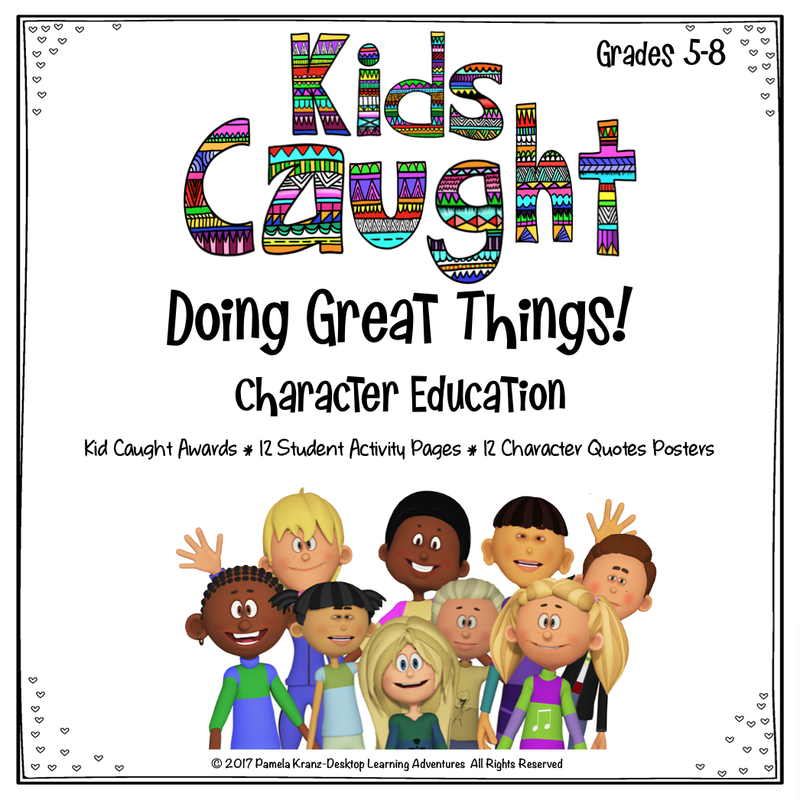 I love it when one shares his favorite memories of activities or units we did, or another tells me her father was able to multiply now because she taught him what she had learned in class. It's special moments like these that get me through those long Spring days, when we'd all like to be outside, but we still have six weeks to go. Hmmm... I wonder if that's why we specifically show teachers appreciation this time of year? Whatever the reason, I'm happy to be a part of the annual TpT Teacher Appreciation Sale, Tuesday & Wednesday, May 3rd - 4th, where everything in my store will be 20% off, just to show how much you're appreciated! 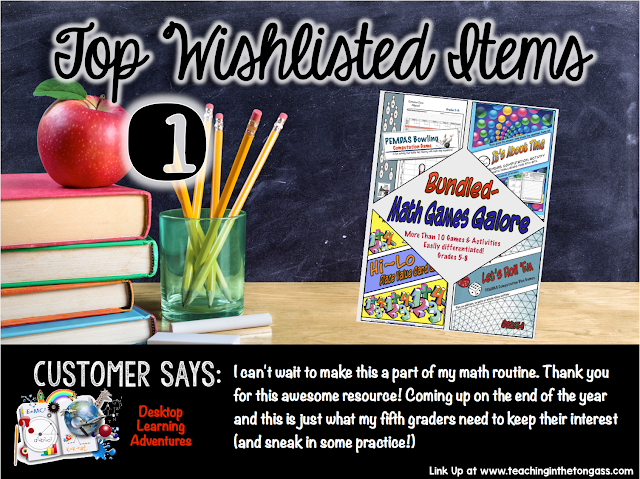 I'm linking up with Teaching in the Tongass, as we bring to you our Top 3 Wishlisted Items to make your shopping easier! Below, are three of my most wishlisted products. 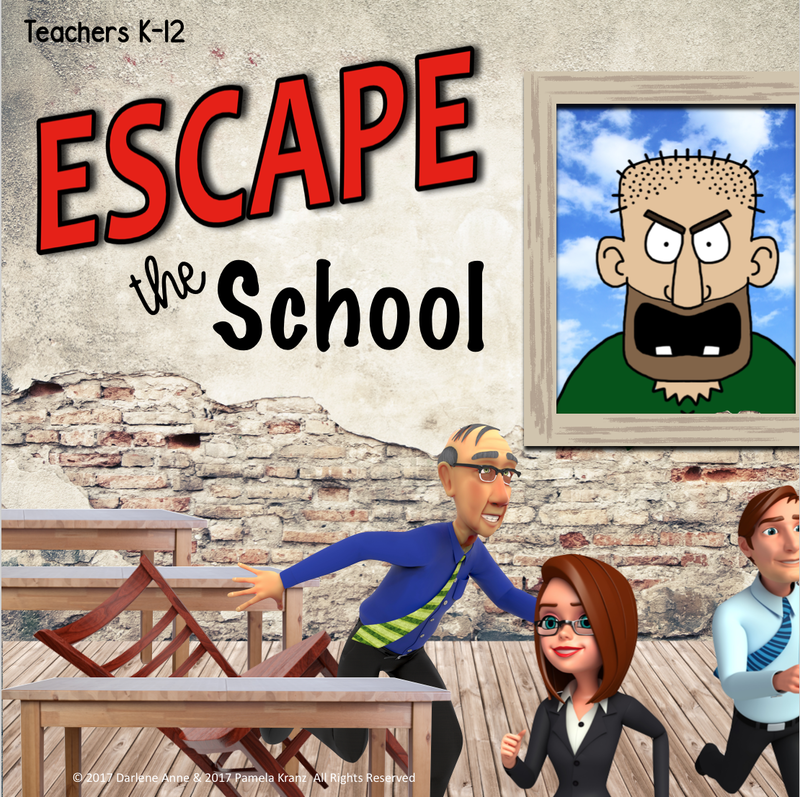 Math games are one of my favorite ways to get kids to think beyond the worksheet and apply what they've learned. If they're playing a game, it can't be work- right? Math Games Galore is a bundle of some of my favorite games, good to play anytime of the year. I love the comment above about "sneaking in practice," because that's what these games and activities do! 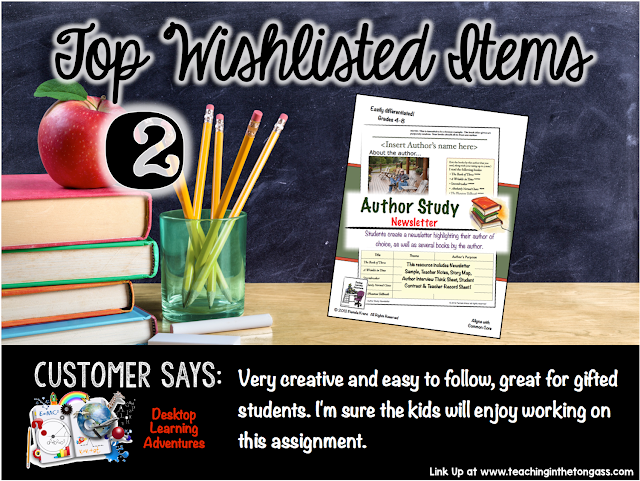 My second most wishlisted resource is Author Study Newsletter, providing a much-needed twist on the basic author study. The format is open-ended, yet there are specific pieces the students need to include. My students loved the challenge! 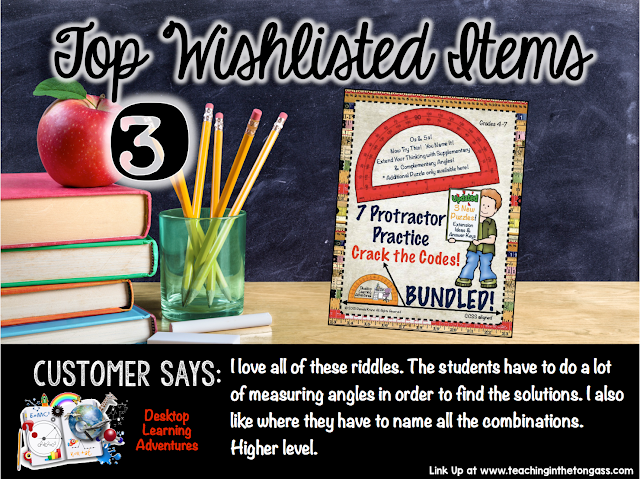 The third most wishlisted resource is my Protractor Practice Bundle. 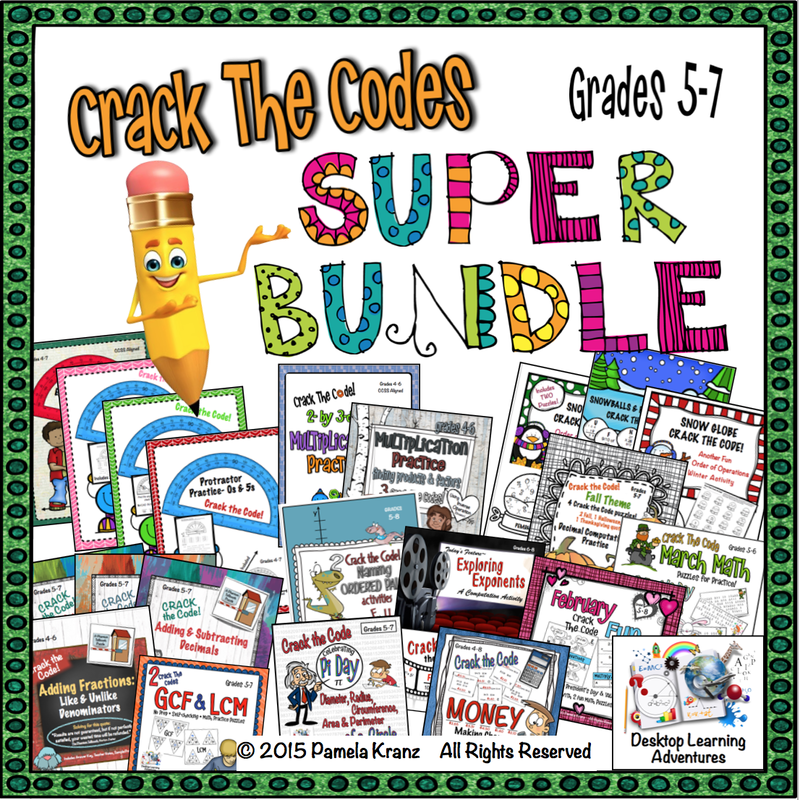 Not only does this bundle include the six Crack the Code Protractor puzzles that are sold separately, but an additional puzzle only available here! These self-correcting puzzles give students that much needed practice reading protractors, and make awesome centers. 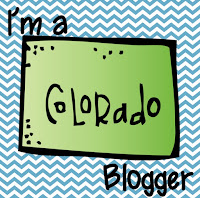 So, load up your cart for great savings and be sure to use the code: CELEBRATE, for an additional 10% off at checkout! 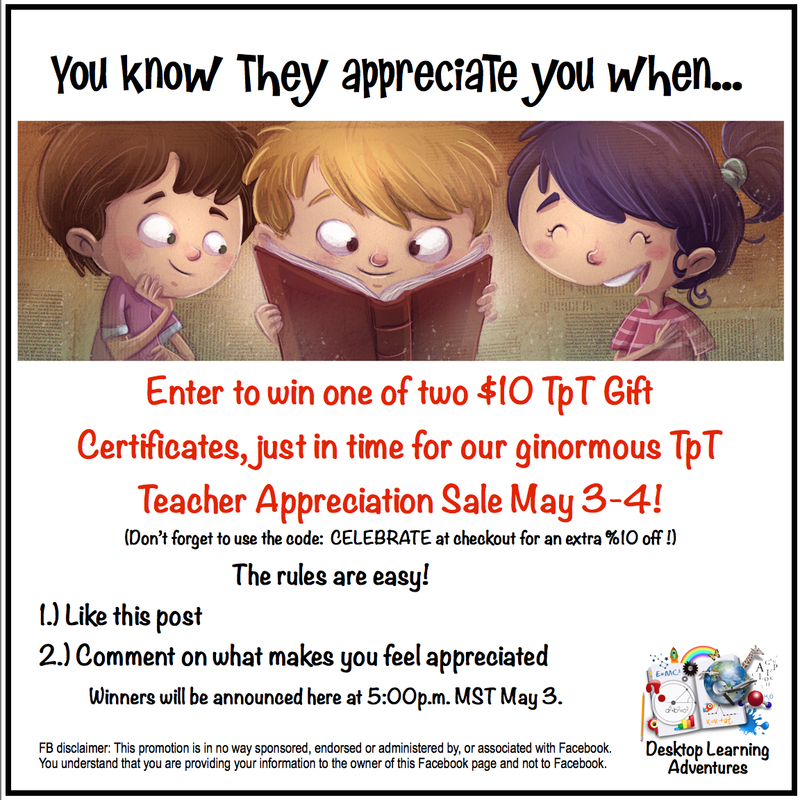 And now for a special surprise~ hop on over to my Desktop Learning Adventures Facebook page and enter the drawing for one of two $10 TpT gift certificates!